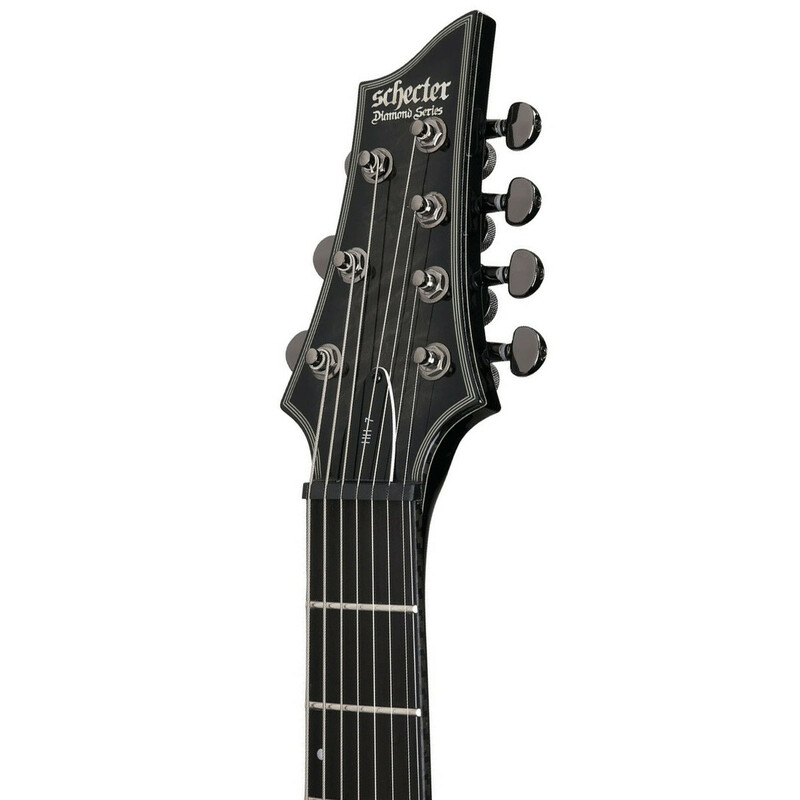 The Schecter Hellraiser Hybrid C-7 Electric Guitar is an ultimate 7 string shredding machine built for hard rock and metal music. 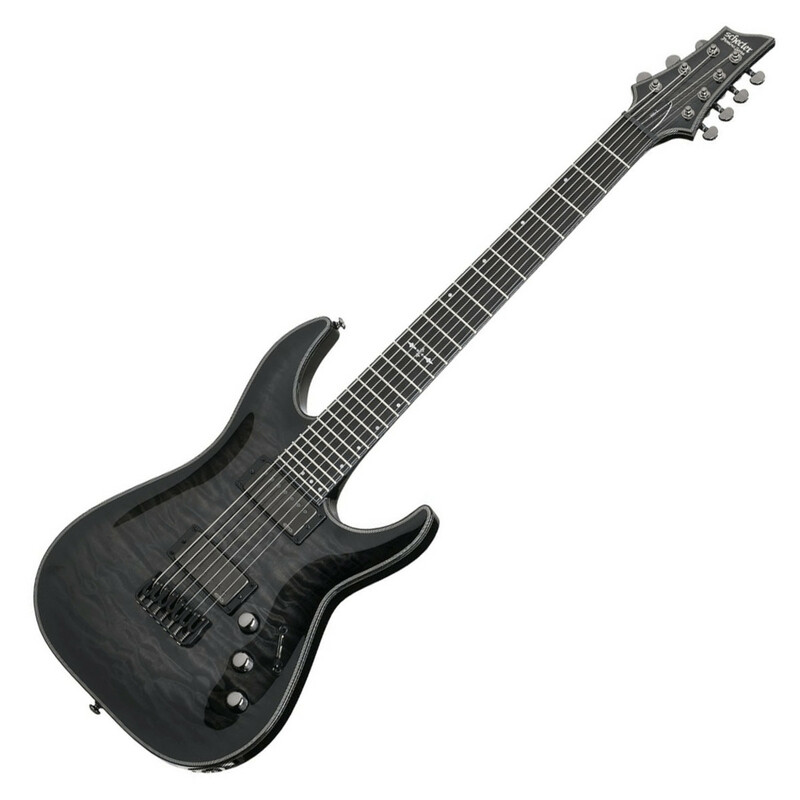 Featuring a body crafted from high quality Mahogany with an arched top, the Schecter is given a trans black burst finish to create a visually stunning guitar. 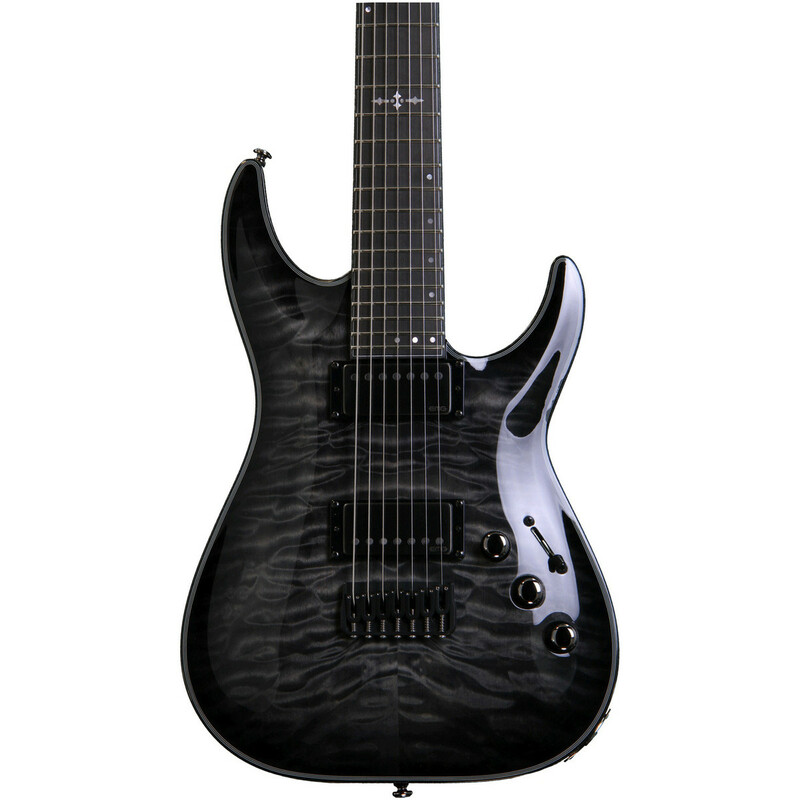 The Hellraiser Hybrid also features a compound radius Maple Neck, 24 fret Ebony fingerboard, Hipshot Hardtail bridge, and powerful EMG pickups. The Hellraiser Hybrid C-7 is a smooth playing, stage ready and unbelievable sounding electric guitar, perfect for any guitarist’s collection. 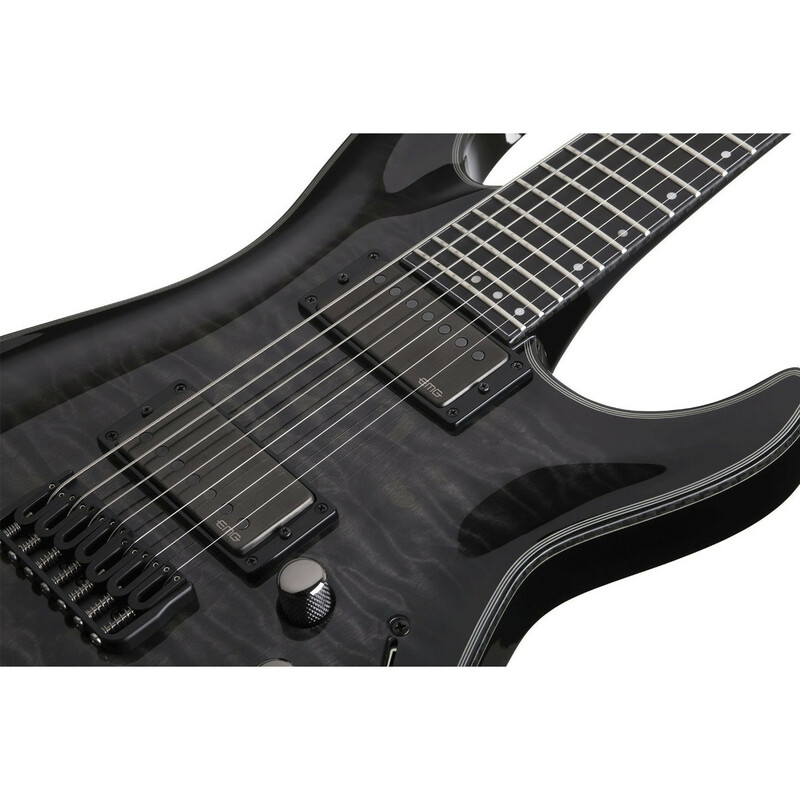 Schecter's Hellraiser Hybrid is a well-balanced guitar from aggressive crunchy sounds to rich, clean tones, perfect for the modern day player. The Quilted Maple top provides a great resonance, enhancing the natural tones of the body wood, whilst the Maple's figuring provides a unique and visually stunning look. The Mahogany body offers naturally warm tones, with a touch of bite for creating tights lows and appealing highs. 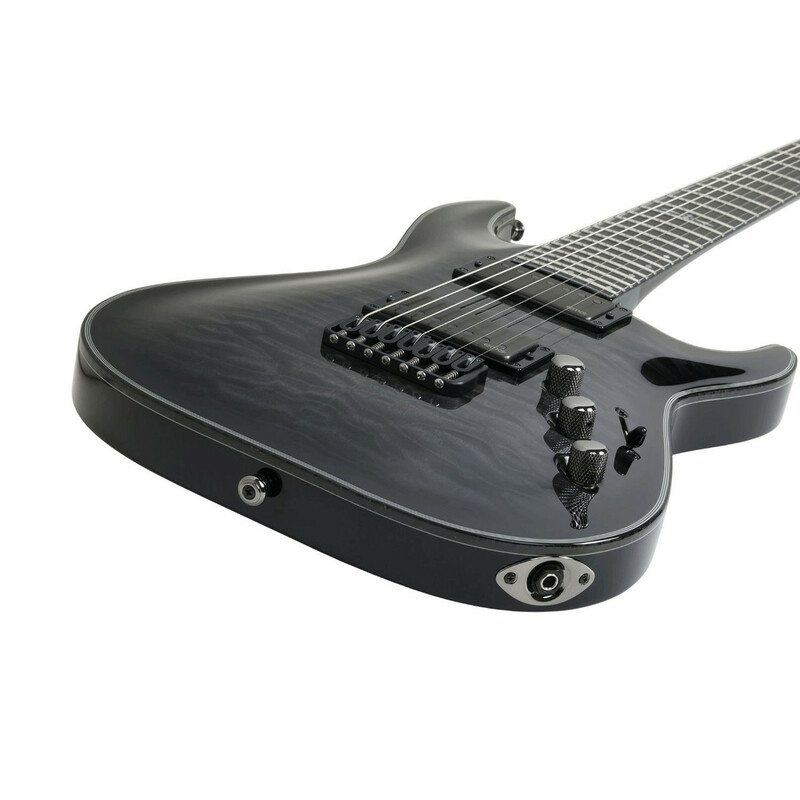 With carbon fiber binding, black chrome hardware, and a Hipshot bridge, the Hybrid is given a trans black burst finish to create a stunning guitar that reflects the tones it can produce. The 3-piece Maple neck and Ebony fingerboard has been designed with an ultra-thin "C" shape for a smooth, fast play. The Maple/Ebony combination produces tight, bright tone that has a fast, snappy attack that’s well defined. The two woods provide the guitars sound with appealing highs, strong lows, and a smooth sustain. 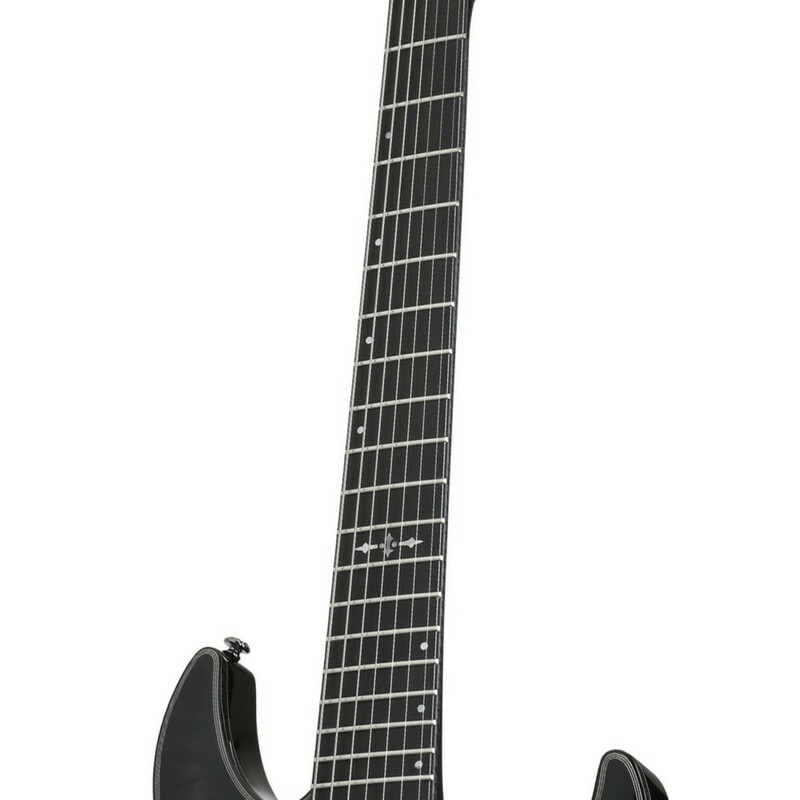 It also comes with many other features including Schecter locking machine heads and mother of pearl offset dot inlays on the fretboard with a gothic cross at the 12th fret. 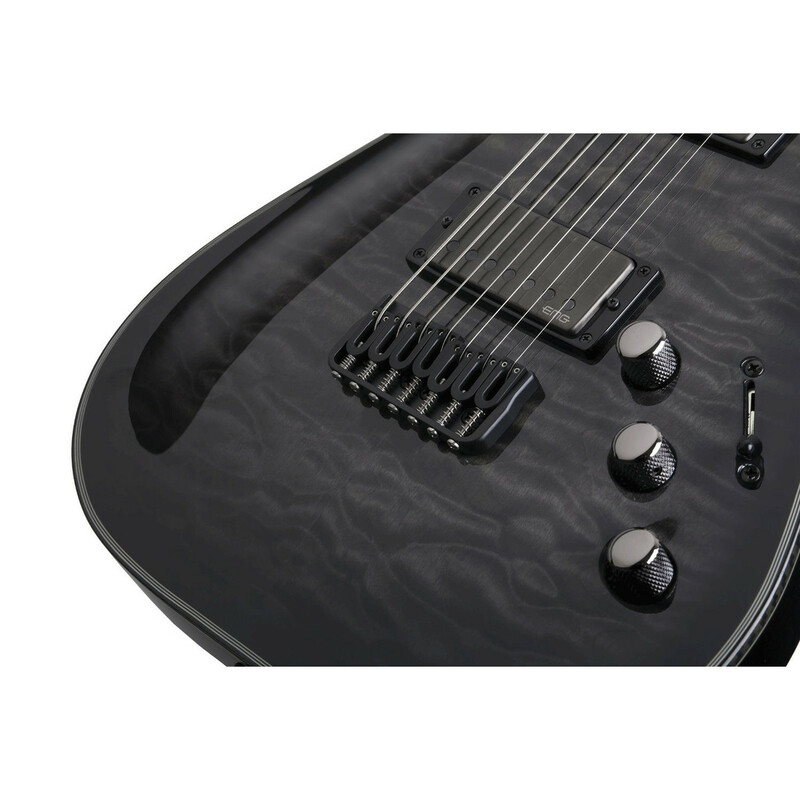 The Schecter Hellraiser Hybrid C-7 wields a set of monstrously powerful active EMG humbucking pickups which utilize alnico V loaded magnets to deliver a truly dynamic and defined 7-string tonality. With a 57-7H in the bridge position to provide a punchy and present tone and a 66-7H in the neck position for a warm tonality and improved clarity in the higher register this raw set of active EMG humbuckers provides a professional tone as used by Richie Faulkner (Judas Priest), Dave Young (Devin Townsend Project and Jeff Loomis (Nevermore).